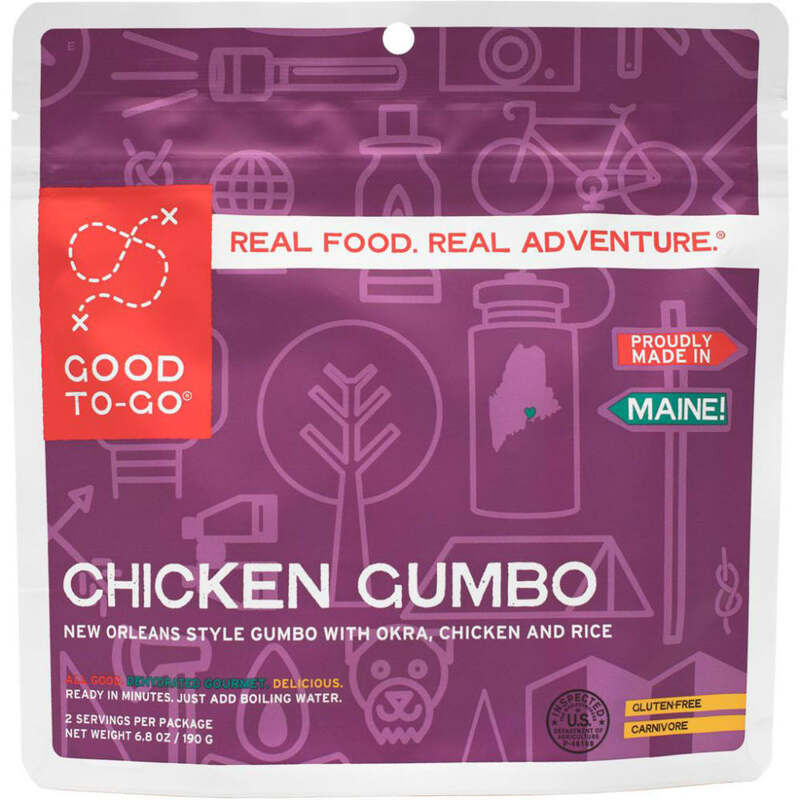 As a nod to the Deep South, Good To-Go has created a lightweight, dehydrated version of the Creole classic, Chicken Gumbo. 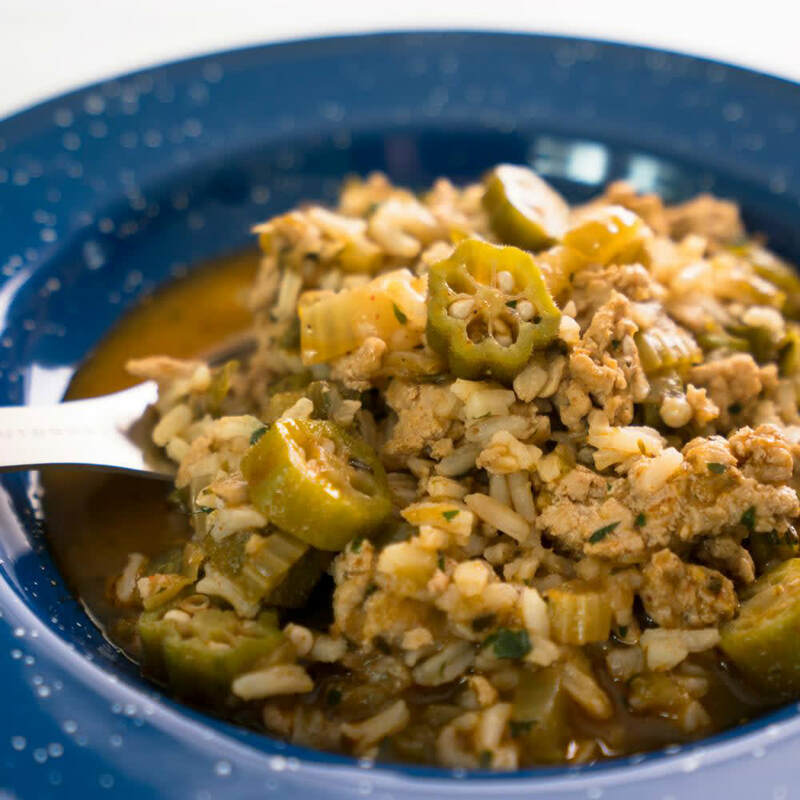 This is a traditional gumbo: a thick stew loaded with chicken and okra, the ?? ?holy trinity??? of green bell pepper, onion, and celery, flavored with filé and spices, served up with long grain rice. It?? ?s great way to jazz up any adventure, and you?? ?ll swear it?? ?s homemade. 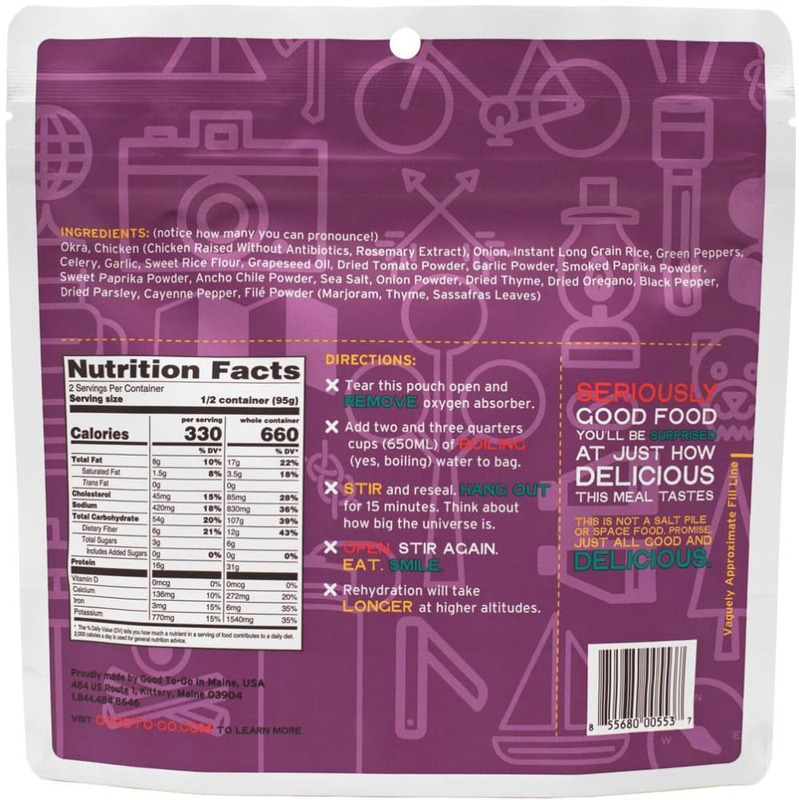 Note: This product is made in a facility that handles peanuts, dairy, eggs, soy, treenuts, fish & crustaceans.